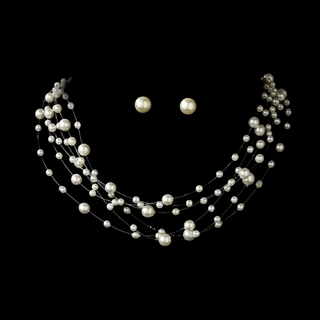 Our popular "Mirage" set includes a lovely multi-strand white faux pearl illusion necklace and matching stud earrings. The white pearl studs come on a silver-plated base and the necklace clasp is silver-plated as well. 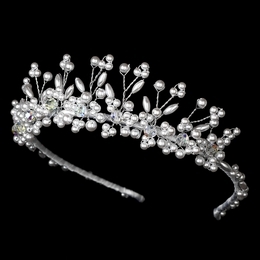 This versatile set is elegant enough to compliment any bridal or formal gown, but can also be worn to accessorize your more casual attire.